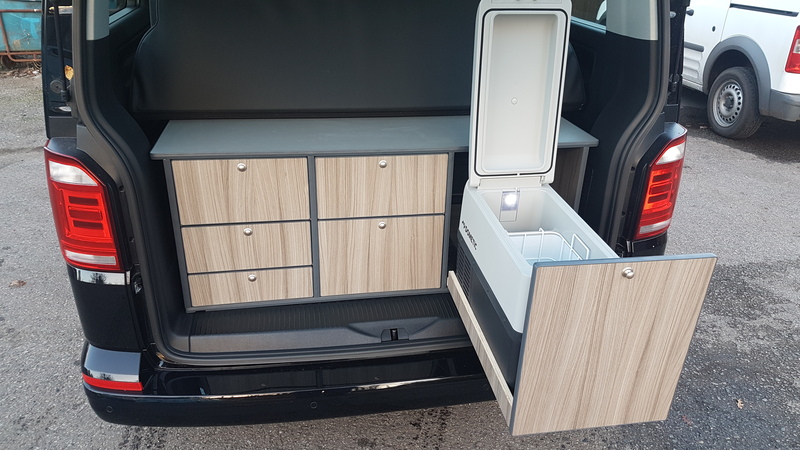 The "SK RailPod" unit system is designed for use in VW Caravelle and California Beach Model van. The system slides easily on the floor rails and is anchored down to them too. 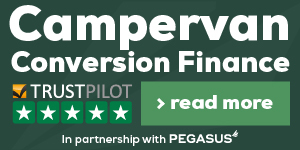 Available either as a flat pack DIY kit or Assembled ready to install. 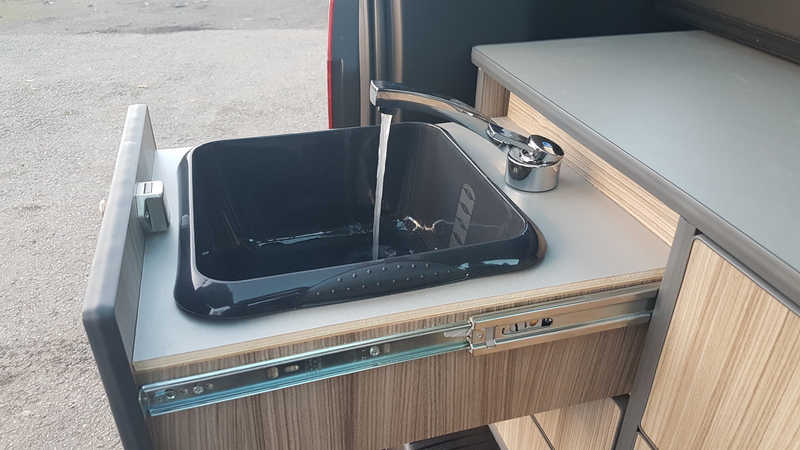 The SK RailPod, is a camping solution for all those who wish their Caravelle did that little bit more, or that their California Beach can be used for more than just trips to the seaside. 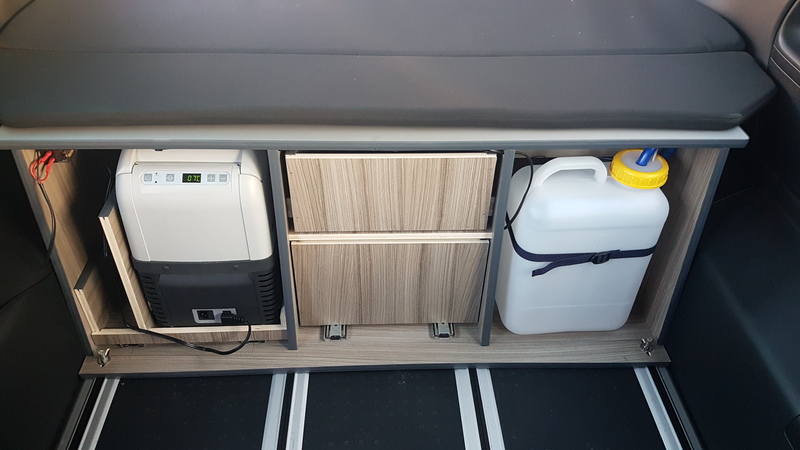 This removable system utilises the floor rails that the original VW seats run on, easy to use, easy to move and easy to remove and install. 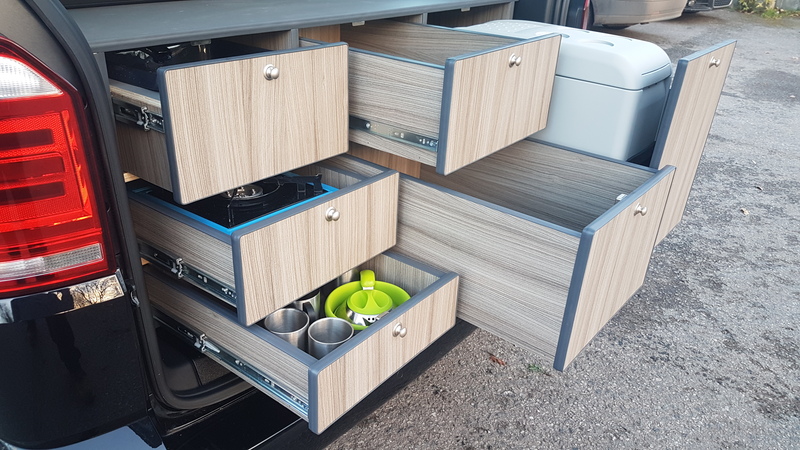 Essentially a pod unit, this system incorporates a number of features to turn your day to day vehicle into a camper. 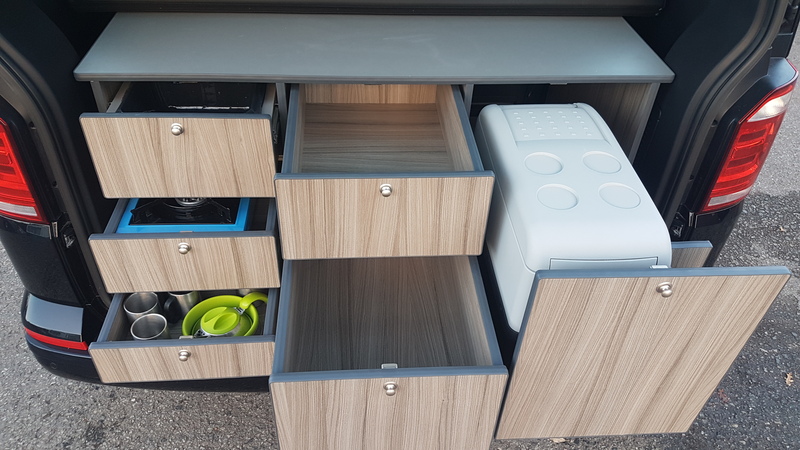 With 6 drawers which includes space for a 26 litre high efficiency powered cool box, basin with tap and water bottle, portable stove and more storage space than you would think is possible, the SK RailPod keeps everything neat, tidy and practical. Available in a range of lightweight plywood material finishes. 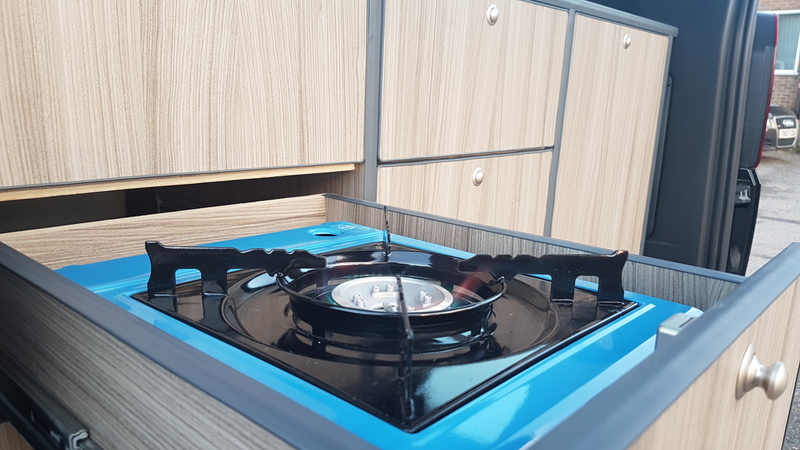 The portable gas stove, is easy to use either in the drawer or take it out and use it elsewhere. Just know it always has a home. With the Dometic CF26 powered coolbox, you'll always have a cold space for food and drink. The unit runs on 12v power taken from the van and is cold in a very short space of time. Capable of freezing too. You won't see this very often as you'll have your seat pushed back against it, but you can see here the access to the water bottle and the fuse box. 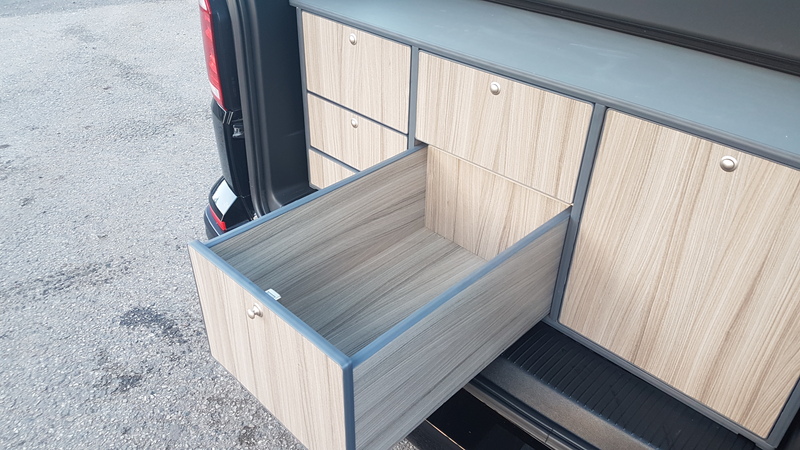 With 3 drawers kept solely for storage for anything you like you should never run out of space.